Dehydrating your food is a phenomenal way of preserving your foods. 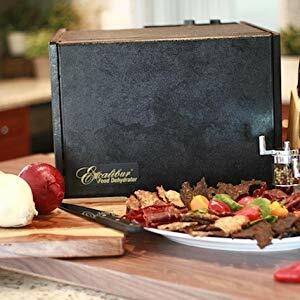 But it also has other uses: you can dehydrate foodstuffs to make jerky, fruit roll-ups, raisin bread and even homemade yogurt. 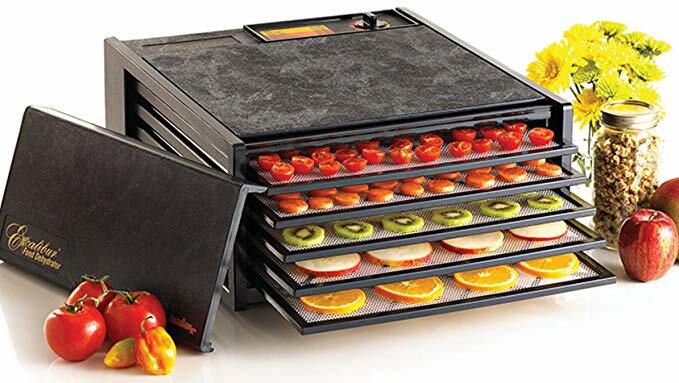 Today only, this 5-tray food dehydrator is 30 percent off. That is $60 worth of savings (and that’s before you factor in all the money you save on leftovers down the line). As you can see from the above image, this dehydrator has a TON of room, a full 8 square feet of drying space. Families, gardeners and sportsmen can get a lot of usage out of this device. In case you thought it couldn’t get any better, this dehydrator is made in the U.S.A.